Academy of Art University - Art and design university in downtown San Francisco. ArtHouse - A clearinghouse for information about artists' studio and live/work space and cultural facilities. Artist Resource - Northern California and beyond. Posts calendars of shows, events and classes, readings, interactive forums, competitions, jobs, galleries, portfolios, hundreds of art links, art supplies, advice and techniques, and artists' stories. ArtworkSF - Art service organizing art, poetry, music, comedy, DJ's, fashion shows, film, wine tastings and more. Represents over 100 Bay Area artists. Aurobora Press - Publishes unique prints by artists of regional, national and international reputations. .
Association of Clay and Glass Artists of California - A non-profit group of over 300 artists and supporters centered in the San Francisco Bay area. Also, see Links to Members' Sites. Bay Area Art Grind - Posts local-national-international art calls for serious artists, grant/internships, art residencies, the rare paying job, local San Francisco Bay Area exhibitions, local art lectures, events, art news of interest, and other art related activities. Bay Area ArtQuake - News and views on art in San Francisco Bay Area. Bay Area Improvisers Network - Find musician's biographical information, upcoming concert info, reviews, links to other sites, and more. Bay Area Radio Museum - An online collection of audio recordings, documents and photographic images pertaining to the history and development of radio broadcasting in the San Francisco Bay Area. The materials found within the collection were contributed from a variety of sources, including local radio stations and private collectors, and are intended for the non-commercial use of the public. Bay Area Video Coalition (BAVC) - Providing high-tech training programs, workshops, services, and facilities to help you create low-cost, cutting-edge new media. California Arts and Artists - Access thousands of artists and arts organizations websites of California. A portal website representing California artists, innovators, and arts organizations. The Art California Web Portal provides access to the rich diversity of the artists and arts organizations in California, with a focus on the non-profit arts, but also including Hollywood and popular musicians. Art California also seeks to provide access to the work of artists, to make arts websites more visible and easier to find, to encourage arts content on the Internet, to increase the audience for events and publications, to demonstrate the importance of supporting the arts in our state, to serve as a model that could be replicated in other states, and to generate interest in California art. California Arts Council (CAC) - A state agency established to encourage artistic awareness, participation, and expression in California. Arts information, fellowships, and grants. California Lawyers for the Arts - Provides lawyer referrals, dispute resolution services, educational programs, publications and a resource library to artists of all disciplines and arts organizations. CELLspace - Provides a safe and supportive public environment for the exploration of art, education, performance and community building. Center for Asian American Media (CAAM) - Dedicated to presenting stories that convey the richness and diversity of Asian American experiences to the broadest audience possible by funding, producing, distributing and exhibiting works in film, television and digital media. Chinese Culture Center of San Francisco - A community-based, non-profit organization established in 1965. Its mission is to spark intercultural discovery through art, education and engagement. CounterPULSE - Provides support and low cost resources for emerging artists, serving as an incubator space to create socially relevant, diverse, community-based art in San Francisco. Craneway Pavillion - Venue for fundraisers, concerts, conventions, performing arts, concerts, film and photo shoots. Fillmore Museum - History of this San Francisco neighborhood. First Voice - Created to provide an organizational structure for the collaborations of Mark Izu and Brenda Wong Aoki, two prominent Asian American artists whose work since the 1970s has centered on creating contemporary American art by adapting non-Western theatrical, musical, and spoken word traditions. Golden Gate Mysteries - A bibliography containing over 1100 titles of mystery, detective, and crime fiction with the action, or significant parts of the action, set in San Francisco Bay Area. Grants for the Art/San Francisco Hotel Tax Fund (GFTA) - Information about GFTA programs, guidelines and over 200 arts and cultural organizations the City of San Francisco supports through Grants for the Arts. Headlands Center for the Arts - Provides extended, live-in residencies to as many as 30 artists from throughout the U.S. and the world each year and rented studio space for Bay Area artists. Located in Sausalito. Hunters Point Shipyard Artists - Explore more than 150 artist studios. Also see Making the Point, a 22 minute film providing a rare look at the largest art colony in the U.S. Independent Arts and Media - Supports and develops nonprofit, noncommercial arts and media projects in San Francisco, the Bay Area and beyond. Projects include investigative news, live music, talk radio and more. Inkworks Press - Berkeley-owned worker owned and managed union printshop. Also see the Inkworks Press archive. Kala Art Institute - Help artists sustain their creative work through Artist-in-Residence and Fellowship Programs, and engages the community through its exhibitions, public programs, and education. Marina Abromovic Institute West - Established to help preserve performance art and to increase its audience. The Institute's goal is to inspire research, as well as foster creativity and collaboration among an international network of young artists, whose mediums range from performance, dance, and theater, to film, video, opera, and music. The San Francisco institute is located at 575 Sutter Street in Union Square, with two floors totalling 7,500 square feet of exhibition space and four lofts for workshops, artist residencies, and film and lecture series. Mesa Refuge - A writers' retreat located near Point Reyes Station. It is one of the few retreats in the United States that supports progressive writers working on issues of environmental sustainability, economic reform, and related social equity issues. Museum of Performance + Design (MP+D) - Founded in 1947 by Russell Hartley, a dancer and designer with the San Francisco Ballet, the organization was long known as the San Francisco Performing Arts Library & Museum (SFPALM) until it changed its name to Museum of Performance + Design in 2007. MP+D has served the arts community for over sixty years as a cultural resource and an archive for some of our nation's most important performance related materials. It manages a rare collection of 3.5M items on the history of performances in San Francisco and the Bay Area, maintains a comprehensive Research Library, and hosts a variety of engaging public events onsite and online. MP+D recently moved from the Veterans Building in the Civic Center to a creative loft space in SOMA in the Yerba Buena Gardens neighborhood. Museum of the African Diaspora (MoAD) - Providing exhhibitions, public and educational programs on the culture, history and art of people of African descent within the United States and throughout the world. National Endowment for the Arts (NEA) - Federal funding for arts initiatives through U.S. national, state and local funding programs. orgSpaces - Brings together information about space availability, planning, funding and sharing to help non-profits stay and thrive in San Francisco. Popular Noise Foundation - A nonprofit organization with the mission to stop the accelerating disintegration of local music in the San Francisco Bay Area and put in place new programs to preserve and benefit its existence. Precita Eyes Mural Arts and Visitors Center - Walking and bus tours of city murals. Project Artaud - A pioneering arts complex in San Francisco's Mission District. A member-run, non-profit organization, supporting working artists by providing affordable housing and studio space, artists' resources and community, since 1971. Public Works - A multifaceted event and community space in San Francisco's Mission District. Public Works consists of a performance/event space, bar, art gallery and artist work shop/community room. Location: 161 Erie Street, San Francisco, CA 94103. Info: +1 415-932-0955. Red Poppy Art House - Weekend concert/performance series and a monthly film night, and has broadened it's educational base to include workshops in painting, drawing, and monotype printing. Remezcla San Francisco - An innovative local guide to cutting-edge Latin culture in San Francisco. Root Division - Improves appreciation and access to the visual arts by cultivating an artistic ecosystem that connects individual creativity and community engagement. Since its founding in 2002 by three MFA graduates of the San Francisco Art Institute, Root Division has brought together artists, teachers, curators, local schools, audiences, individuals, and foundations, to achieve its mission. San Francisco Art Institute (SFAI) - Founded in 1871, the San Francisco Art Institute is one of the U.S.'s oldest and most prestigious schools of higher education in contemporary art. It boasts an illustrious list of alumni in all of its areas of focus. San Francisco Arts Commission - Dedicated to showing the work of emerging Bay Area artists. San Francisco Arts Magazine (SFAM) - On-line magazine presenting new and emerging Bay Area artists and documentary evidence of San Francisco's evolving art scene. 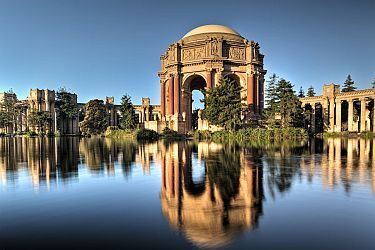 San Francisco Arts Monthly Visual Arts Calendar - Guide to the visual arts in San Francisco. San Francisco Film Society - Organizes the annual San Francisco International Film Festival and an assortment of equally anticipated events such as the yearly San Francisco International Animation Festival, New Italian Cinema and French Cinema Now, bimonthly SF360 Film+Club multimedia presentations and Film Arts Forum filmmaker gatherings, and frequent benefit screenings and film premieres. San Francisco Tribal - An association of tribal art dealers from the San Francisco Bay Area. The association is comprised of 16 experts in African art, Oceanic art, Asian art, pre-Columbian art and North American Indian art. The members offer a wide range of high quality sculpture, masks, textiles, ceramics, weapons, shields and jewelry from ancient and traditional cultures and are committed to a standard of excellence and professional conduct. San Francisco unified School District Arts Festival - A celebration of student creativity in visual, literary, media and performing arts hosted by the Asian Art Museum. 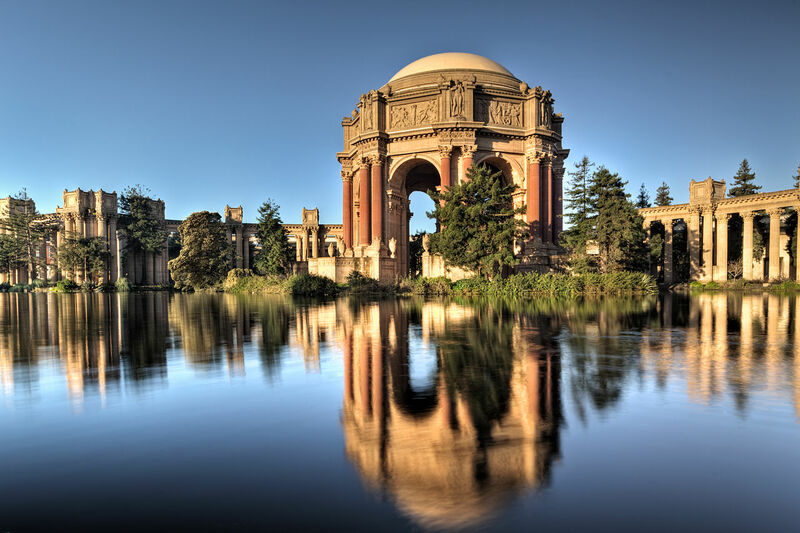 SF Station: The Arts - Gallery, museum, dance, theatre, and literary arts listings and events. SFGate: Culture Blog - From the San Francisco Chronicle. SFGate: eGuide - Art - Art reviews, galleries, exhibits, events from the San Francisco Chronicle. SHARE Project - A non-profit, nationwide coalition focusing on harm reduction within the rave and nightclub community. DanceSafe's goal is to provide non-judgmental, fact based information to both users and non-users a like. SOMArts - Leverages the power of art as a tool for social change through multi-disciplinary events and exhibitions. Equips artists with the space, mentorship and support they need to shift perspectives and innovate solutions, SOMArts fosters access to arts and culture for collective liberation and self-determination. SoMa Literary Review - New voices from San Francisco's subcultures. thePoint - America's largest artists' colony located at Hunters Point Shipyard in San Francisco. Voice is Venom - Promoting women in music. Wattis - Established in 1998 in San Francisco at the California College of the Arts. It serves as a forum for the presentation and discussion of international contemporary art and curatorial practice. Wells Fargo Center for the Arts - North Bay's premiere arts center offering a year-round season of world class performances in music, dance and theater. Workspace - A not-for-profit organization, aimed at providing affordable workshop and studio space for independent artists and craftspeople. WritersCorps - Places professional writers in community settings to teach creative writing to youth. zSan Francisco: San Francisco Art - Art links and forum, events, community, resources, video, artists, galleries, web guides. This webpage last updated on Sunday, January 13, 2019 1:55 PM.